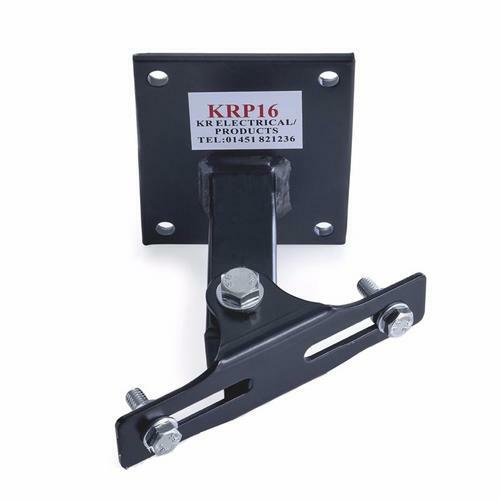 The KRP16 is a single adjustable floodlight bracket designed to carry 20-30W LED floodlights for an external mounted lighting solution, which has replaced the old KRP9. Fixings are supplied with all brackets. However, different fixings may be required depending on the construction of the wall to be mounted on. For dimensions, please see pictures above. See our large selection of LED Floodlights to work in conjunction with this bracket - LED Floodlight Range. As per description, Faster delivery than expected and holds my flood light up great. Stronger than expected as well to be fair. Ideal for the customer that just wants the right bracket for the job. Get what you pay for ! I am delighted with the robustness of this bracket. Easy to install and swivel works a treat with a great angle of turn that holds the floodlight at 90 degrees to the wall and lights up the whole of the rear wall.